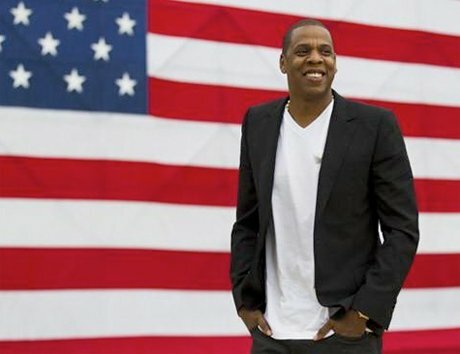 Jay-Z's Made in America festival takes place at Philadelphia's Benjamin Franklin Parkway on September 1 and 2, featuring an all-star lineup that includes Drake, Pearl Jam, Skrillex, Dirty Projectors, Rick Ross and Hova himself. Despite the stacked bill, obviously not all of us can make it out to Pennsylvania. It's a good thing, then, that director Ron Howard (Apollo 13, A Beautiful Mind) will be chronicling much of the fest for us for an upcoming film. Though details are slim at present, Howard's pal and Imagine Entertainment business partner, super-producer Brian Grazer, confirmed the project to the New York Post. The flick will apparently be shown from Jay-Z's point of view. "I am producing the film with Steve Stoute and Jay. Ron is directing. It is going to be born through Jay-Z's perspective... how he puts the event together," Grazer said. The producer went on to add how impressed he is by the always evolving Jigga, stating, "Jay stayed the king for a very long time... I can't even begin to explain how he is capable of remaining relevant. He is a phenom, like a musical Michael Jordan." It's unclear at present what the film will be titled and when it will hit screens.